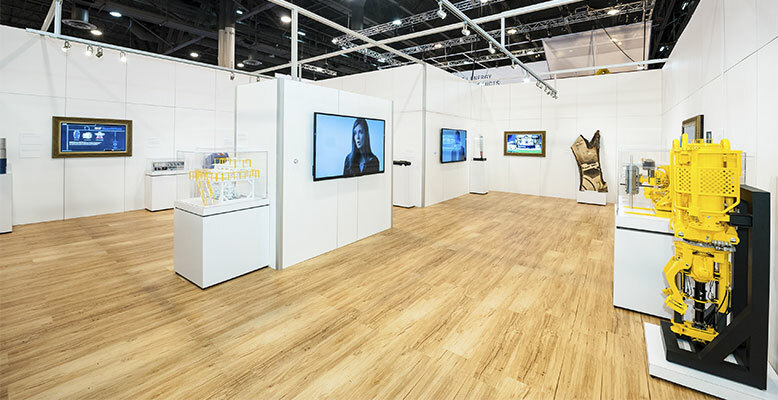 The editors of Event Marketer magazine have named 2020 Exhibits as a 2014 Event Design Award (EDA) Gold Winner, in the Best Use of Modular Category. 2020 Exhibits earned Gold recognition in the Best Use of Modular category for the company’s design and build of the National Oilwell Varco (NOV) tradeshow exhibit at the 2014 Offshore Technology Conference (OTC2014). The EDA’s recognize the best event and exhibit environments among this industry’s top experience designers and innovators, and the award-winning projects reflect how the world’s best creative studios are reinventing experience design across all categories. Winners competed across 12 categories and were selected by a panel of brand-side judges. As formidable, dynamic presence on the OTC2014 tradeshow floor, this engaging exhibit environment showcased NOV’s state-of-the-art technologies and solutions. In an otherwise hectic and industrial-focused landscape, the NOV team was engaging and sharply focused on the customer experience, all the while showcasing and celebrating their products and their people.